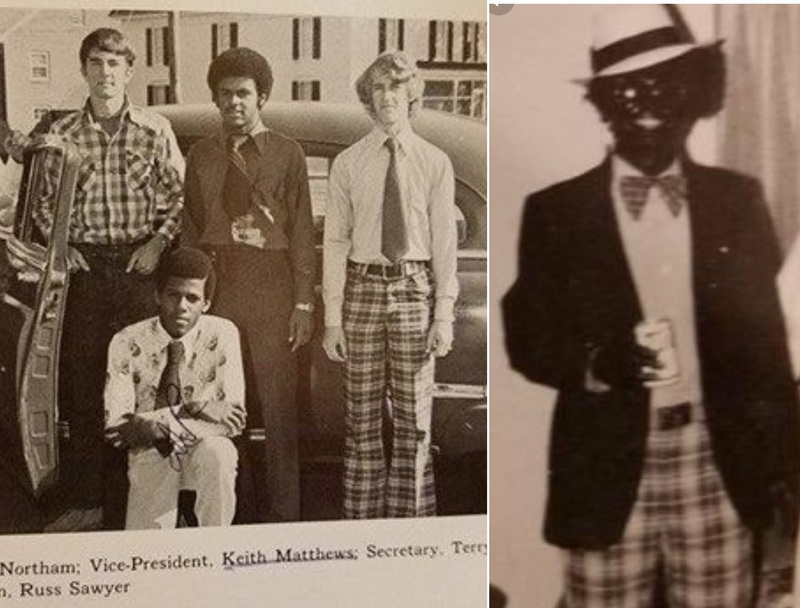 Newly discovered photos of Democrat Virginia Governor Ralph Northman show him standing with a man in the same plaid pants as the KKK-blackface photo. 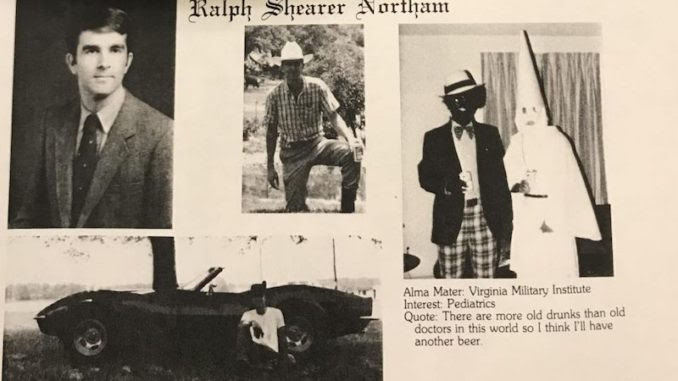 On Friday, a picture of Northman’s medical school yearbook surfaced showing two men, one in a KKK hood and robe and one in ‘blackface’ on the same page as Northam. 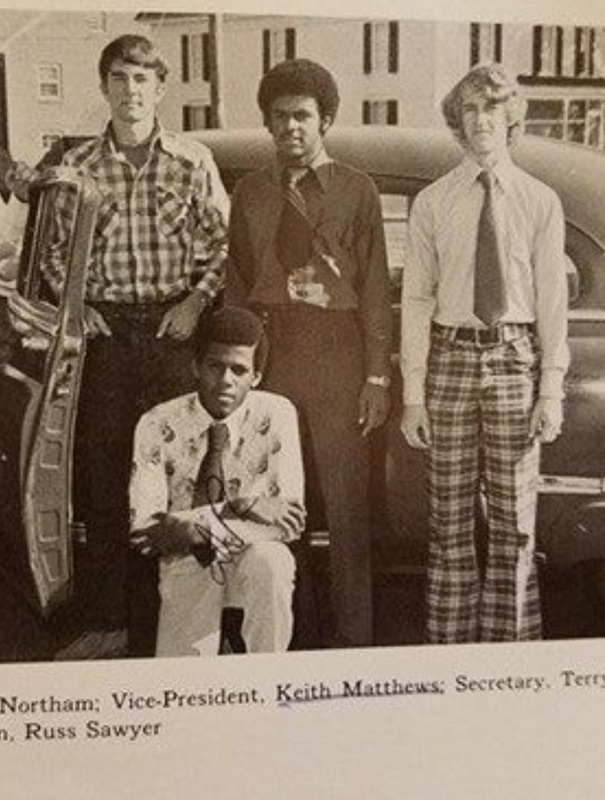 Thegatewaypundit.com reports: One half of the page shows Ralph Northam wearing a suit jacket and a tie, a photo of him in a cowboy hat and boots and another of him leaning up against a convertible.